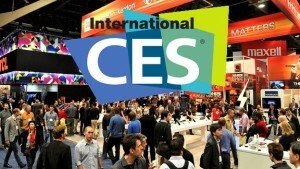 This year’s Consumer Electronics Show was exciting for the first time in years. It seems some aspects of the 12-volt market are shrinking, but new markets are emerging. OEM manufacturers are calling it “connected car,” this just means phone integration in the vehicle. In a previous article, we covered the OEM manufacturers using Apple’s Carplay, and it was quite a highlight of their booths. Ford is expanding the SYNC line, and Chevrolet’s “My Link” system has also been expanded. Does this mean the end of aftermarket head units? The answer is just no. Aftermarket companies are recognizing that the head units from the OEM are becoming so integrated with car monitoring and audio settings making it quite labour intensive to change. Alpine has dove in with both feet on their replacement radios for GMC and Ford trucks with US retail for $3000. The fit and finish is amazing, but $3000? Kicker has been developing OEM amplifier and sub boxes solutions for the past couple of years. They seem to be on the right track, at the MERA show in August, I had the pleasure of hearing a before and after demo vehicle for Kicker’s 2014 Chevrolet truck. It sounded great, and they have a before and after button that highlights the features of the upgrade. A refreshing change is a focus on Power Sports (ATV, boats, etc.). Many manufacturers are putting a lot of money in these areas. But the real question is this good for 12-volt retailers? For example, Rockford Fosgate is expanding hugely in this category, but are the products going to be sold through the traditional retailer or direct to ATV/Boat dealers? The other question, is a conventional retailer capable of selling to these markets? Is there room to market for two stages of mark up, for example, distributer to a retailer to ATV/Boat dealer? In Canada, we have the US online stores to compete with for maintaining margin. These were the questions going through my mind when I saw this new avenue for revenue. I would love to hear your comments on the ATV/Boat markets. Of the big three head units companies, Alpine/Pioneer/Kenwood, the big winner this year seems to be Pioneer Electronics. Their whole line from top to bottom is “rock solid”. Kenwood’s lack of Carplay is their missing link; Alpine OEM products are cool but expensive. When they expand the Carplay line, I will revisit the line. Check out Pioneer’s line if you get a chance, they refined their NEX head units that were already a best in class product. Some surprise manufacturers were Diamond Audio and Orion; they have redesigned their lines to be more in line with today’s mobile electronics market.